- The title comes from the supposed inscription of the marker over King Arthur's grave: HIC IACET ARTORIVS REX QVONDAM REXQVE FVTVRVS — "Here lies Arthur, the once and future king." - Though White admits his book's source material is loosely derived from Sir Thomas Malory's Le Morte d'Arthur (The Death of Arthur), he creates a personal reinterpretation of the epic events, filling them with renewed meaning for a world enduring the Second World War. 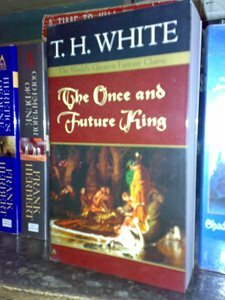 - Science-fiction writer Michael Moorcock enjoyed White's The Once and Future King, and was especially influenced by the underpinnings of realism in his work. - J. K. Rowling has said that T. H. White's writing strongly influenced the Harry Potter books; several critics have compared Rowling's character Albus Dumbledore to White's absent-minded Merlyn, and Rowling herself has described White's Wart as "Harry's spiritual ancestor." The Arthurian legend has garnered millions of followers that branched out to the Grail quest, medieval romance, knights tales and a lot more. There is no wonder, then, why I bought this book as I am one of the frustrated Arthurian legend followers. 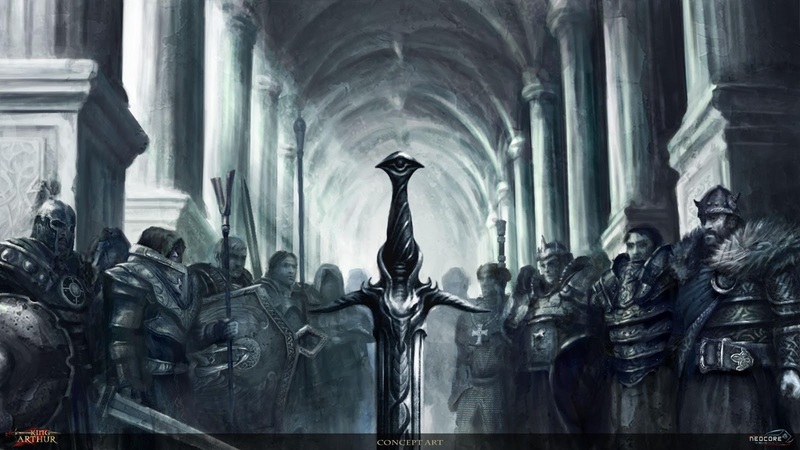 The story starts in the last years of the rule of king Uther Pendragon. The Sword in the Stone chronicles Arthur's raising by his foster father Sir Ector, his rivalry and friendship with his foster brother Kay, and his initial training by Merlyn, a wizard who lives through time backwards. Merlyn, knowing the boy's destiny, teaches Arthur (known as "Wart") what it means to be a good king by turning him into various kinds of animals: fish, hawk, ant, owl, goose, and badger. Each of the transformations is meant to teach Wart a lesson, which will prepare him for his future life. In fact, Merlyn instills in Arthur the concept that the only justifiable reason for war is to prevent another from going to war then, and that contemporary human governments and powerful people exemplify the worst aspects of the rule of Might. In The Queen of Air and Darkness, White sets the stage for Arthur's demise by introducing the Orkney clan and detailing Arthur's seduction by their mother, his half-sister Morgause. While the young king suppresses initial rebellions, Merlyn leads him to envision a means of harnessing potentially destructive Might for the cause of Right: the Round Table. The third part, The Ill-Made Knight, shifts focus from King Arthur to the story of Sir Lancelot and Queen Guenever's forbidden love and its effect on Elaine, the mother of Lancelot's son, and the King. The Candle in the Wind unites these narrative threads by telling how Mordred's hatred of his father and Agravaine's hatred of Sir Lancelot caused the eventual downfall of King Arthur, Queen Guenever, Sir Lancelot, and the entire ideal kingdom of Camelot. The book begins as a quite light-hearted account of the young Arthur's adventures, Merlyn's incompetence at magic, and King Pellinore's interminable search for the Questing Beast. Parts of The Sword in the Stone read almost as a parody of the traditional Arthurian legend by virtue of White's prose style, which relies heavily on anachronisms. However, the tale gradually becomes darker until Ill-Made Knight loses much of the original humor and The Candle in the Wind is mirthless.